Many non-New Mexicans envision New Mexico as one large desert, yet New Mexico is very much a mountain state, with more than one hundred named mountain groups. New Mexico's highest point is 13,161-foot Wheeler Peak, and Sierra Blanca, 11,973 feet high, is snow capped for most of the year. What's more, the mountains here display a diversity rarely seen elsewhere: glacier-carved alpine summits (Sangre de Cristos), shield volcanoes (Mount Taylor and Sierra Grande), cinder cones (Capulin Mountain), fossil limestone reefs (Guadalupes), laccolith intrusions (Capitan and Zuni Mountains), erosional formations (Tucumcari Mountain), and tilted fault-blocks (Sandias and Caballos.) New Mexico's mountain animals range from elk to desert bighorn sheep, from marmots to coatimundis. The arctic lynx and semitropical jaguars have also been spotted. In this guide to New Mexico's mountains, Robert Julyan provides essential information such as location, physiographic province, elevation and relief, ecosystems, and ownership, as well as the historical and natural details that make each range unique: archaeology, Native American presence, mining history, ghost towns, recreation, and much more, as well as geology, ecology, and plants and animals. Carl Smith is a professional photographer and a resident of Albuquerque. 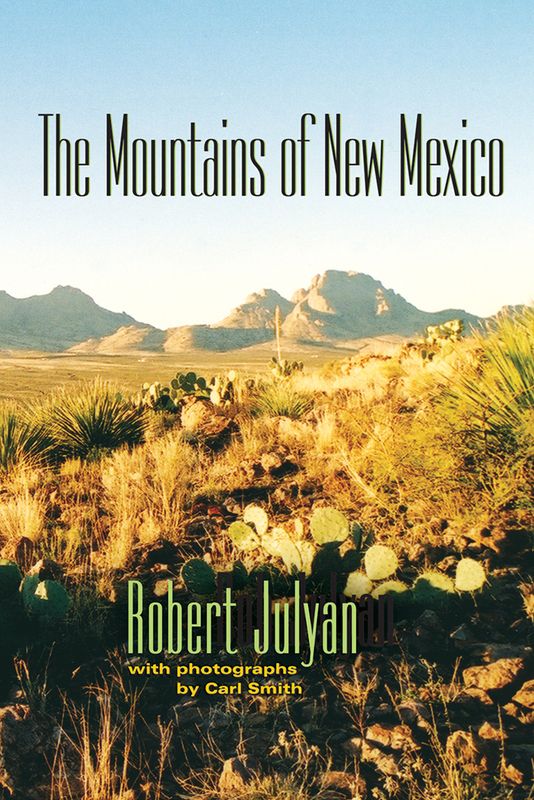 Robert Julyan is the author of numerous travel and New Mexico-related books. He resides in Albuquerque.